Belly wrap and waist cincher are large belt or wrap worn across the waist. They are great tools to trim your postpartum waistline and abdomen. 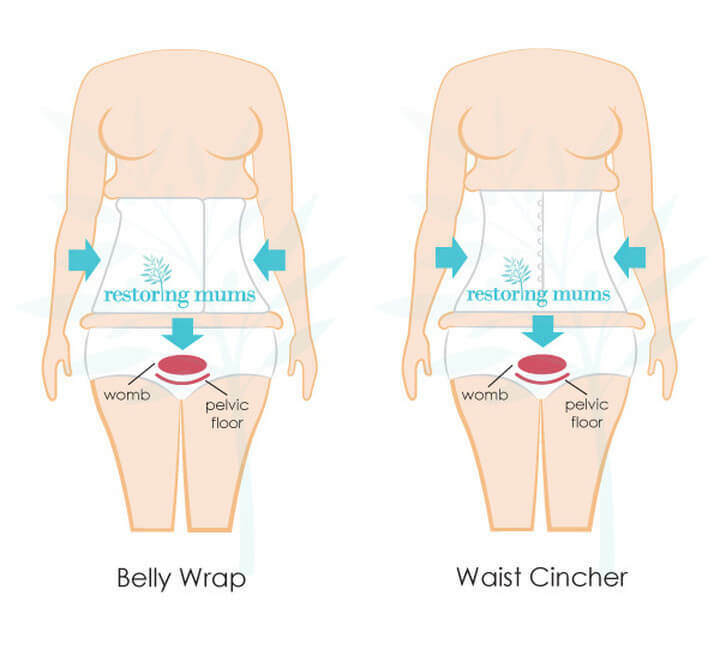 Many over-enthusiastic mums fasten the wrap too tightly in order to shrink their abdomen. Shrink it they will, but when there is so much inward pressure on the abdomen, you are also creating a potentially harmful downward pressure on the womb and pelvic floor muscles.